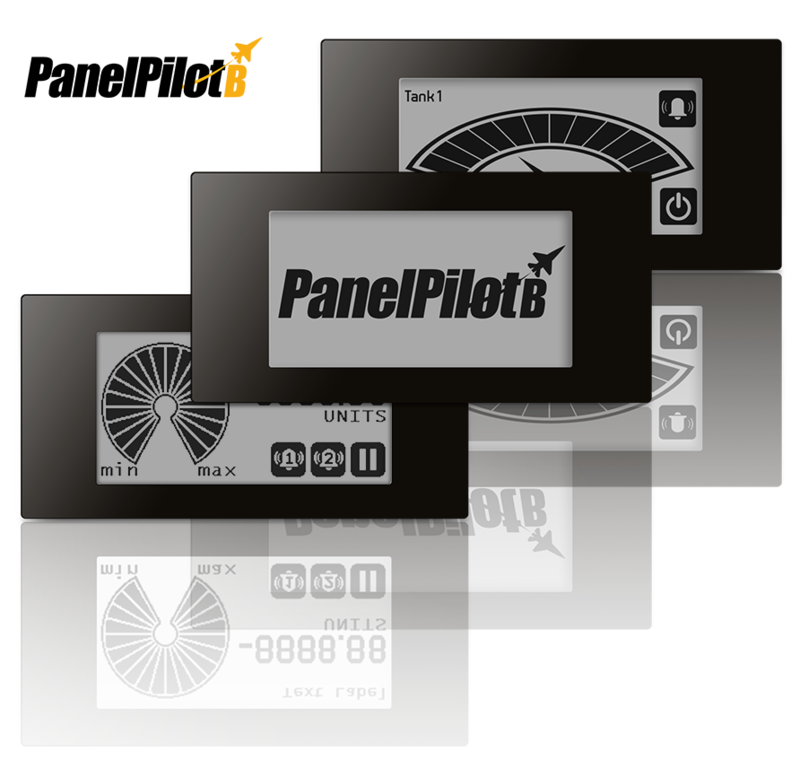 The PanelPilot range includes display formats for any budget and application. 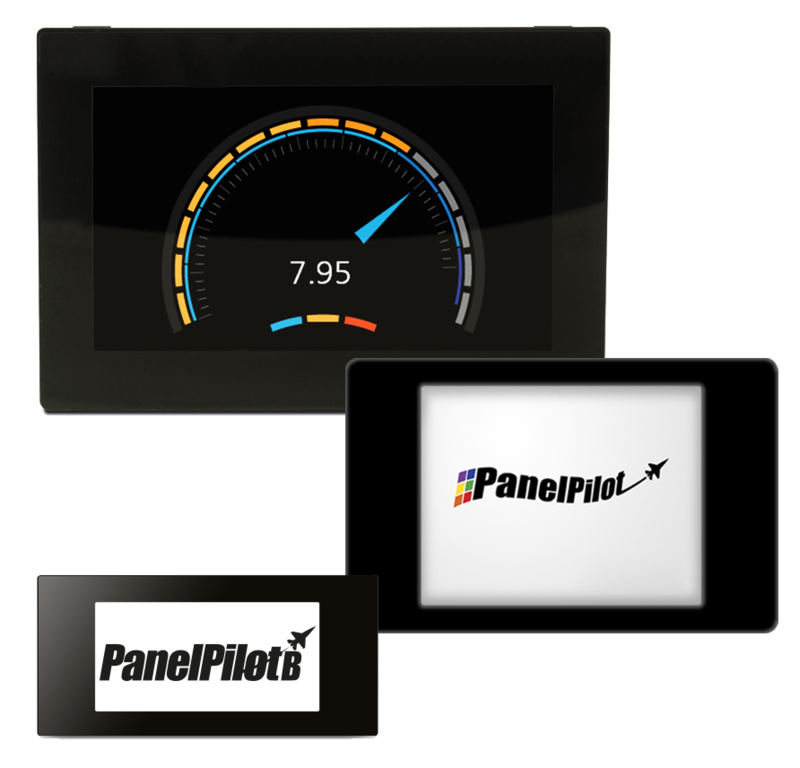 From low-cost, customisable E-paper displays with a voltage measurement input, to full-colour capacitive touch screens with an array of input and output options offering the ultimate flexibility with our intuitive and free PanelPilotACE Design Studio software. 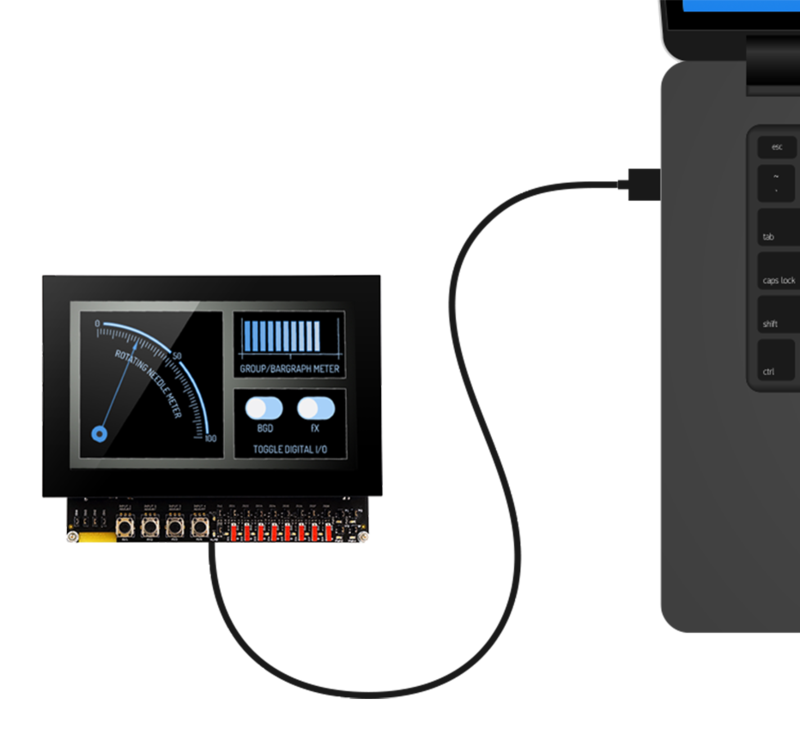 Low cost, ultra-low power and sunlight readable voltmeter display. 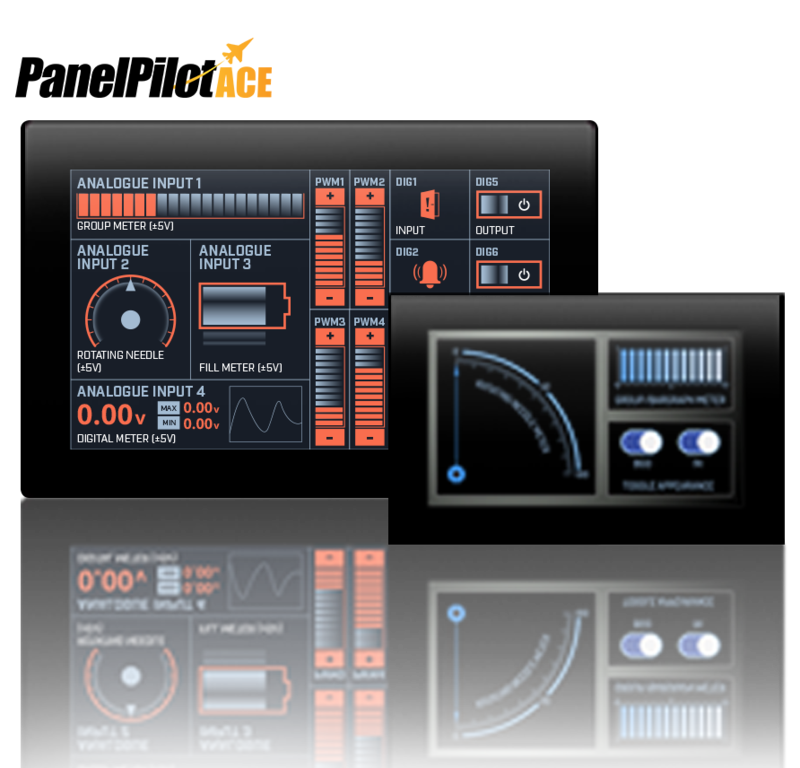 Using the free PanelPilotB Configuration Software, choose from six different analogue and digital voltmeter apps and customise their label units, text, scaling, alarms and even add your own logo to the product power-up. Customisable panel meter with dual analogue inputs, alarms and a colour touch screen. 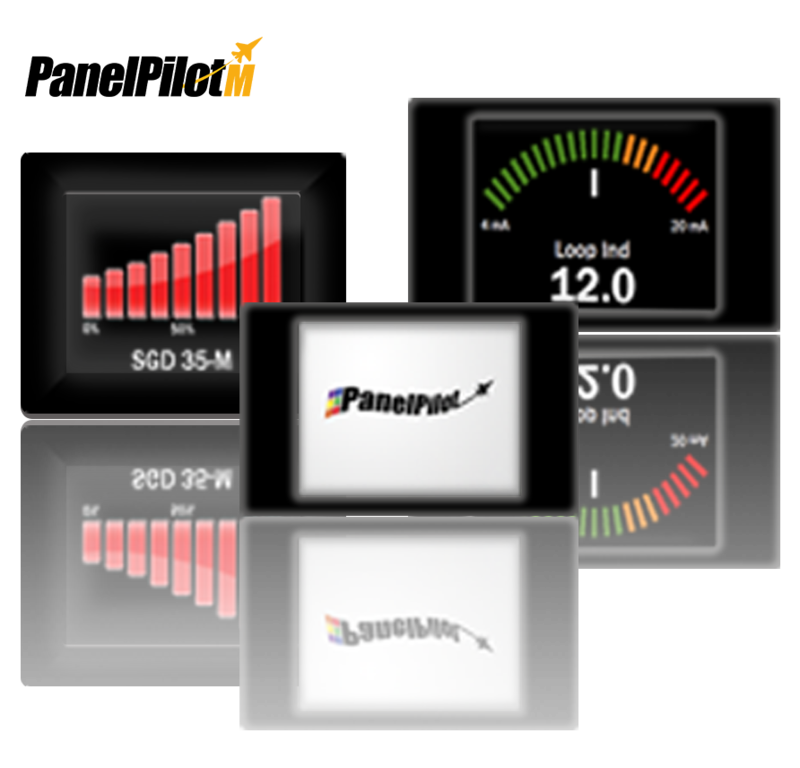 Using the free PanelPilotM Software, you can choose from an ever-increasing number of configurations, including bar-graph, trend graph, tank level and analogue style displays. You can then customise the colours, text, units and scaling of your panel. 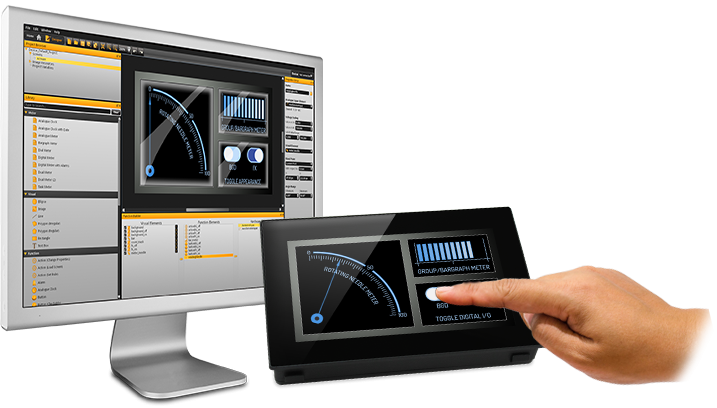 An advanced user interface and touch screen panel meter that is fully programmable by the user. Using the PanelPilotACE Design Studio, simply drag-and-drop the desired elements for multi-channel data logging and trend graphs all on one device. From background images to analogue meters, touch screen navigation to complex logic statements, this software allows users to build multi-screen interfaces without needing to write a single line of code. 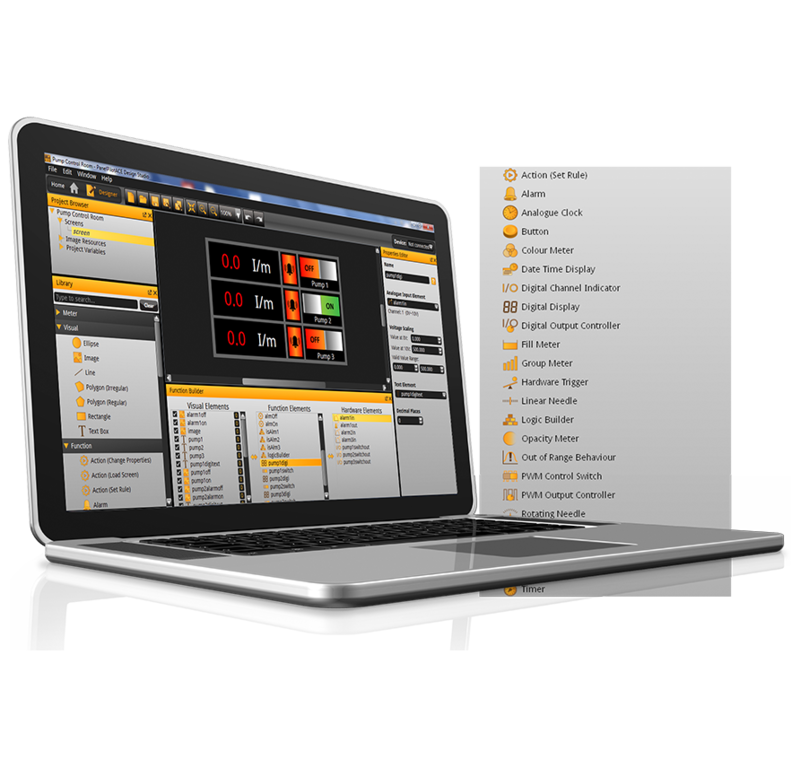 The PanelPilot range of products and configuration software gives users the ability to dramatically reduce design time for measurement, display and control applications by eliminating the complex code development process. Simply select hardware for your required screen size and function and customise your application with the PanelPilotB & M configuration software, or program the whole display for your needs using our simple drag-and-drop PanelPilotACE Design Studio software. Whether you’ve already chosen your PanelPilot platform, have used the software suite before or are still evaluating its development potential, we provide comprehensive support for every stage needed to turn your conceptual display design into a fully functioning app. Visit our Youtube Channel for set-up demos, basic and advanced program tutorials and top tips. For product datasheets, help guides, quick-start guides and firmware downloads visit the support section of our website. Our different PanelPilot software platforms give users the ability to dramatically reduce design time for display applications by eliminating the need for complex code. But if you’re really under pressure to finish a design, why not make use of our custom design service for PanelPilot products to deliver your solution? Provide us with a description of your display requirements and we can complete the design for you. Simply get in touch today to chat through your ideas. PanelPilot products are used for a wide variety of uses across a range of industries. From solar power to ship propulsion, it amazes us what these products get up to, and how they help optimise a range of industries. Follow the links below to view our PanelPilot case studies, or click here to view all.